Allotment of 5 UMPP on plug and play mode is a welcome announcement in Union Budget 2015-16, the increase in clean energy cess (effective rate) by Rs 100/ tonne on coal/lignite is a negative for the sector especially the power plant that caters to short-term market. Announcements to set up 5 new Ultra Mega Power Projects of 4000 MW each at an investment of about Rs 100000 crore in the plug-and-play mode. All clearances and linkages will be in place before the project is awarded by a transparent auction system. The Ministry of New Renewable Energy has revised its target of renewable energy capacity to 175000 MW till 2022, comprising 100000 MW of Solar, 60000 MW of Wind, 10000 MW of Biomass and 5000 MW of Small Hydro. Additional depreciation @ 20% is allowed on new plant and machinery installed by a manufacturing unit or a unit engaged in generation and distribution of power. The effective rate of Clean Energy Cess on Coal, lignite and peat is being increased from Rs 100 per tonne to Rs 200 per tone with the scheduled rate being increased from Rs 100/ tone to Rs 300/tonne. This comes into immediate effect. Excise duty on pig iron (SG Grade) and Ferro Silicon-magnesium for manufacture of cast components of wind operated electricity generators is being fully exempted, subject to certification by MNRE in this regard. Excise duty on round copper wire and tin alloys for manufacture of Solar PV ribbon for manufacture of solar PV cells is being fully exempted subject to certification by Department of Electronics and Information Technology (DeitY). Active Energy Controller (AEC) for use in the manufacture of Renewable Power System (RPS) Inverters to 5%, subject to certification by MNRE. Service tax is increased from current 12.36% (12% + Education cess) to 14%. The education cess and secondary and higher education cess shall be subsumed in the revised rate of service tax. Further a Swachh Bharat Cess on all/any of the taxable services at a rate of 2% of the value of such taxable services. The new service tax and Swachh Bharat Cess will come into effect from a date notified. 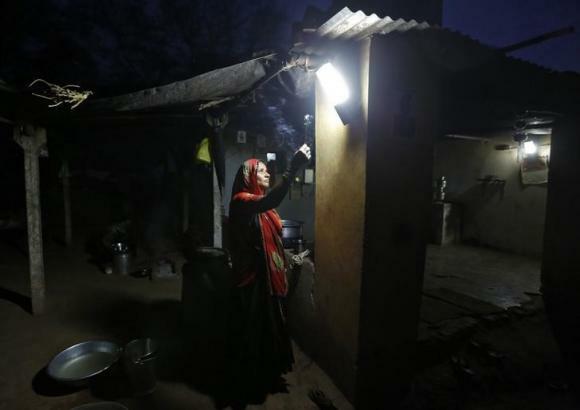 Government is working on a mission to achieve electrification of remaining 20,000 villages by 2020 including by off-grid solar power generation as well as 24 hour power supply to each house by 2022. The Government though stated its target of 24X7 power supply to every house by 2022, the 75th year of Independence of the country, the government has not spelt out clear road map for revival of interest in the sector apart from announcement of 20000 MW power generation capacity will be awarded in plug-and- play mode. Since getting approval and clearance is a key problem in power projects the assurance of GoI that all clearances and approvals will be in place before these 5 UMPP projects will be awarded is a good welcome sign for the sector. Increase in clean energy cess on coal/lignite by Rs 100/tonne though will be passed on to customers automatically under current PPAs only the players with significant merchant power exposure such as JSW energy will get hurt. The upward revision in renewable target especially the 60000MW of wind power generation addition in next 7 year is a good sector and the more positive is continuation of accelerated depreciation and GPI with no change. On renewable the only disappointment is the lack of any announcement to improve the liquidity in REC market. Sunset clause for the 10 year tax holiday available (u/s 80(I)(A)of Income Tax Act) to the undertaking which begin generation, distribution and transmission of power by March 31, 2017 should be extended by another 5 years. Further give 10-year holiday for all clean energy projects. Renewable Energy should be made an independent sector separate from power sector, as many banks have reached their sect oral exposure limits thus limiting the flow of finance to renewable energy projects. Provide concessional duty on naphtha imports to help run stranded gas-fired generation capacities. Withdraw excise and import duty on coal to bring down generation costs. Extend priority sector lending status for renewable energy projects under the guidelines laid down by the RBI and permission to select agencies to issue tax-free bonds to raise money for financing clean energy projects. Provide dividend distribution tax benefits on profits earned by renewable projects, policy change to allow continuation of tax holiday post acquisition. Utilize national clean energy fund to bring liquidity in Renewable Energy Certificate (REC) market and generation-based incentives for renewable energy projects. Exempt income generated from sale of carbon credits by power plants. Exempt excise duty for machinery used in coal washeries. Remove excise duty on bricks manufactured using fly-ash generated in coal-based power plants. Raising the capacity ceiling from 25 mw to 100 mw for grant of renewable power status for hydropower projects to facilitate funding for these projects. Projects that implement clean technologies be given benefits in taxes and manufacturers who have already adopted internationally recognized clean technologies be exempted from levy of any clean energy cess. Keep power sector out of the purview of MAT so as the sector could avail the benefit u/s 80IA fully. Accelerated Depreciation for wind projects which was restored in 2014-15 after withdrawn from 1.4.2012 should be continued with. Policy initiatives to increase the rail and road capacity so as mined coal reach the power stations on time. The sunset clause for power projects commissioned to eligible for benefits u/s 80IA which was extended to March 31, 2017 in the last budget is all likely to be extended further by another 5 years as that will boost the private investor confidence on that sector which has declined sharply off-late due to various issues. Equally the focus and incentives for renewable power generation capacity will be continued. But the duty cut on raw material imports are not likely.